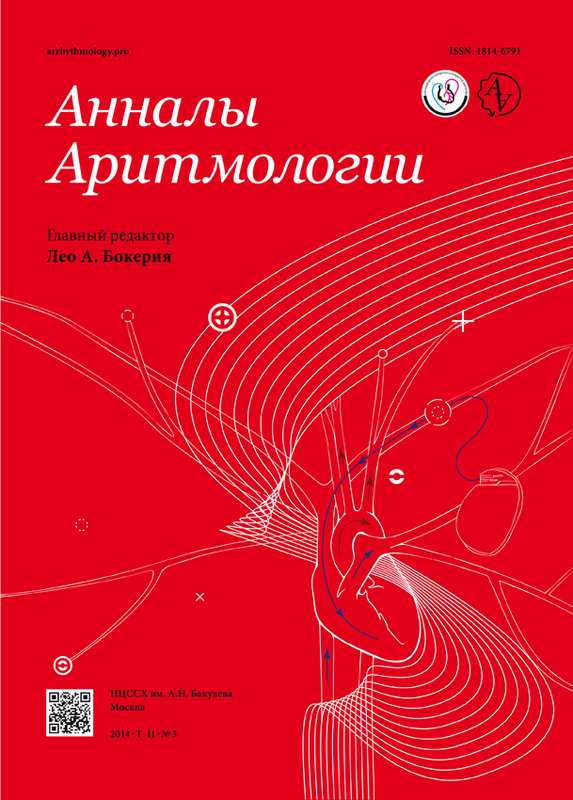 Journal "Annaly aritmologii" ISSN 1814-6791 (Print), ISSN 2307-6313 (Online) includes articles related to clinical findings and diagnostics of different heart rhythm disturbances and the results of medical treatment, interventions and surgical operations. Anatomical, pathophysiological and electrophysiological considerations of arrhythmias are reviewed. Journal "Annaly aritmologii" has specific instructions and guidelines for submitting articles. Those instructions and guidelines are readily available on the submission service site. Please read and review them carefully. Articles that are not submitted in accordance with our instructions and guidelines are more likely to be rejected.